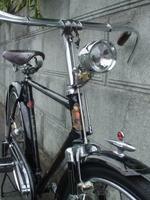 In the last English post we saw a very rare style of handlebars whereby the mechanism was "through the bars". 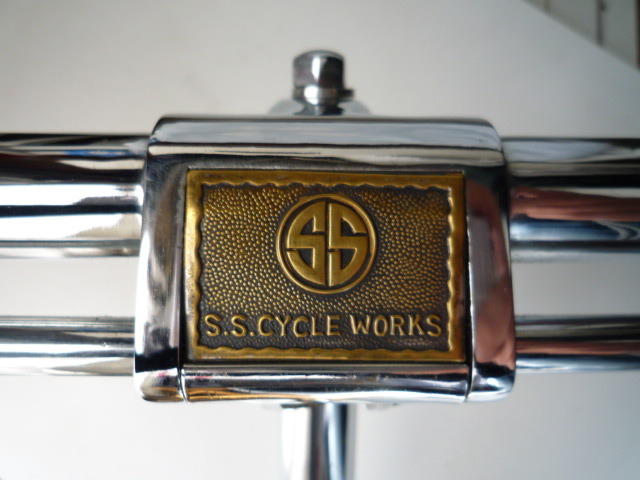 In this week's post let's take a glimpse at another set of "through the bars" style where the mechanism is hidden within the bars. 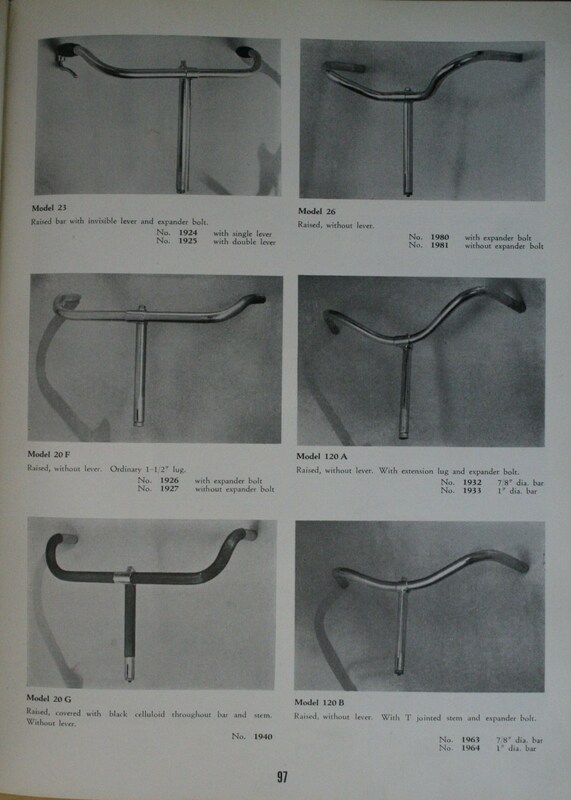 Let's also take a look at some of the finer point of handlebars. 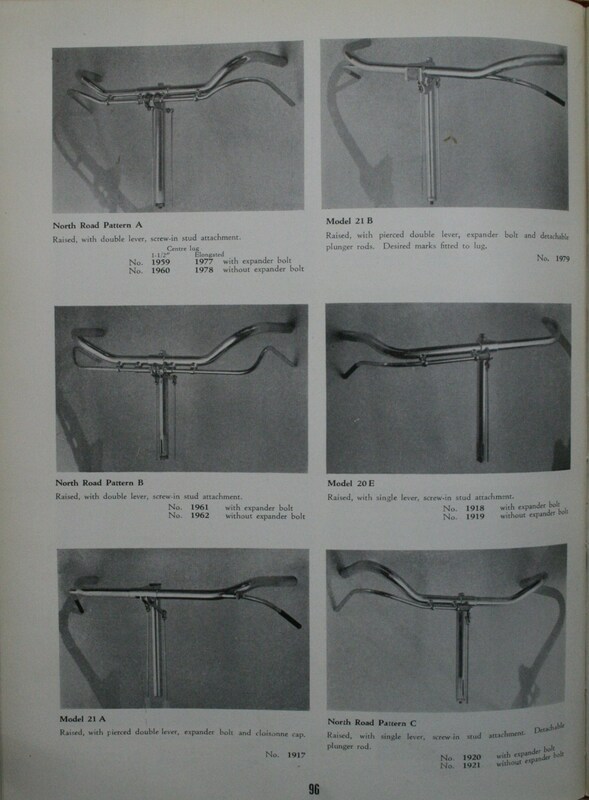 A standard pair of rod brake handlebars will typically have the rods on the outside of the bars, the rods themselves running parallel with the front of the bars. 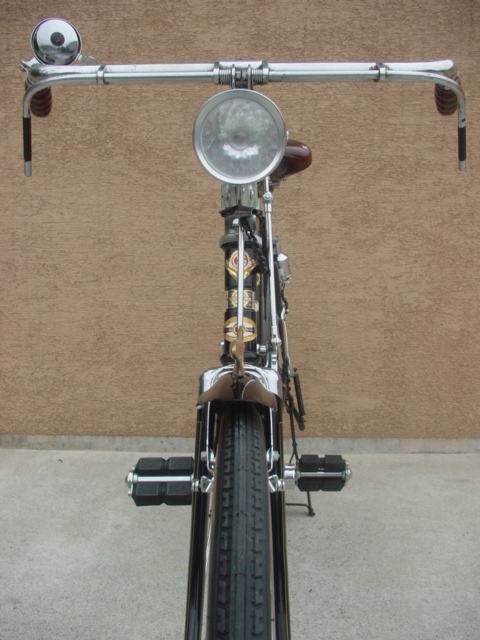 In the photo below is a rare "through the bar" style of handlebars. 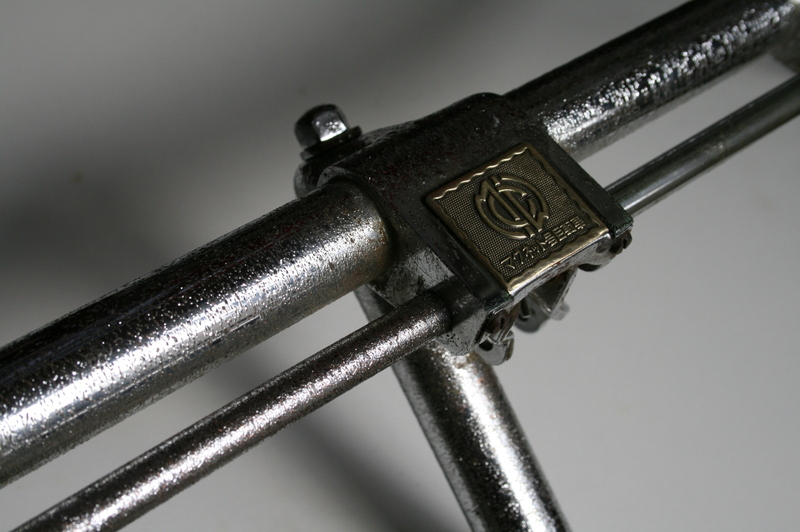 Here we can see a close up of the through the bar construction. 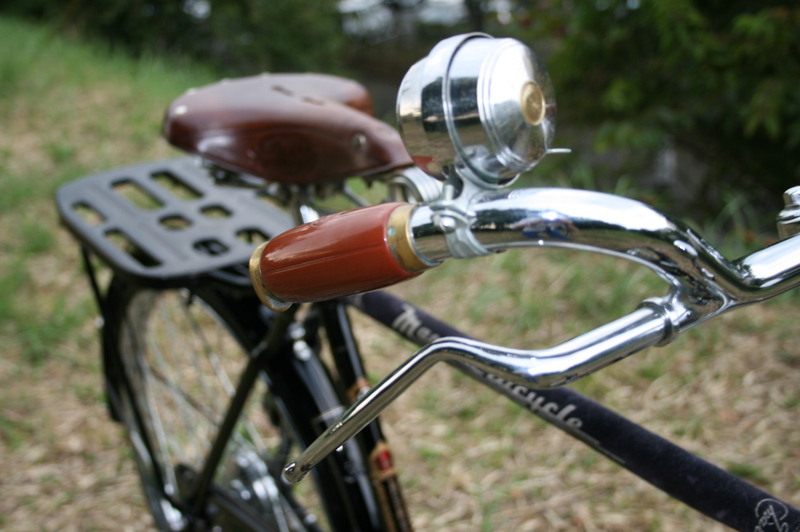 In addition to the style of handlebars, some of the key things I look for when searching for a bicycle to restore are the type of grips, the rod ends and the lug. 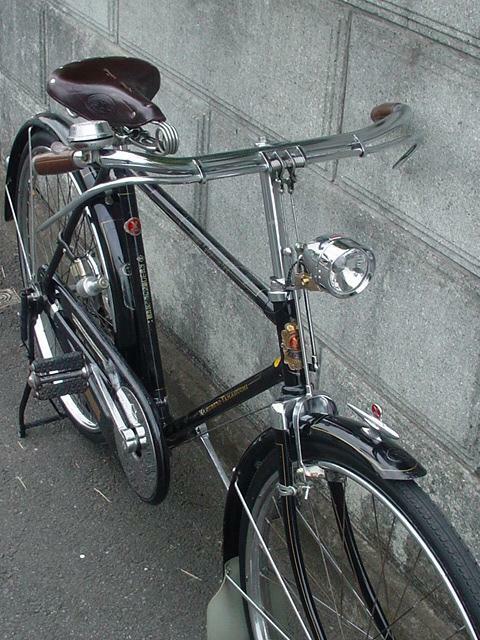 Roadsters from 1950s or earlier typically have celluloid grips, and, some have celluloid covered rod ends. 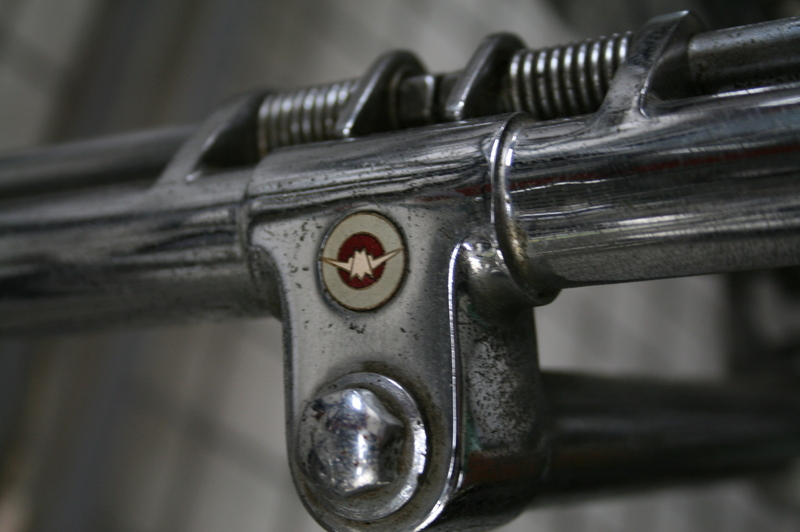 In the before and after photos below the brown celluloid grip has the company logo molded into grip, and, the the bar ends are also covered with celluloid (black). 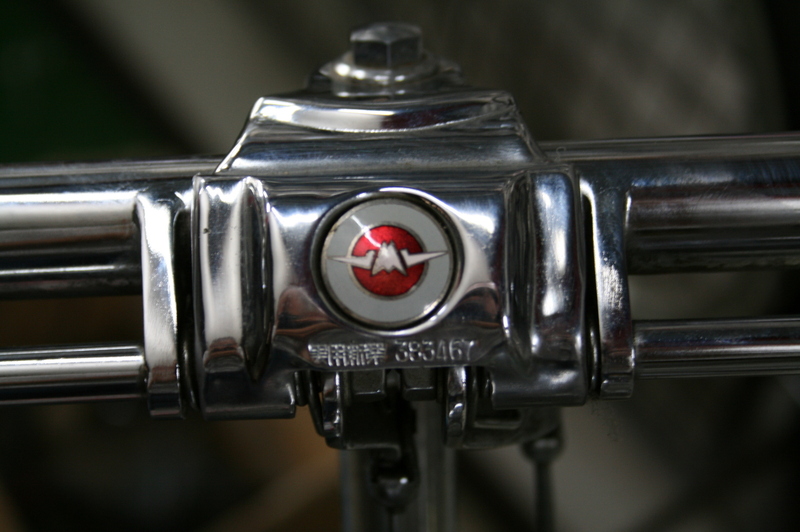 As you can see the original chrome cleaned up fairly well with a little of steelwool and alot of elbow grease. 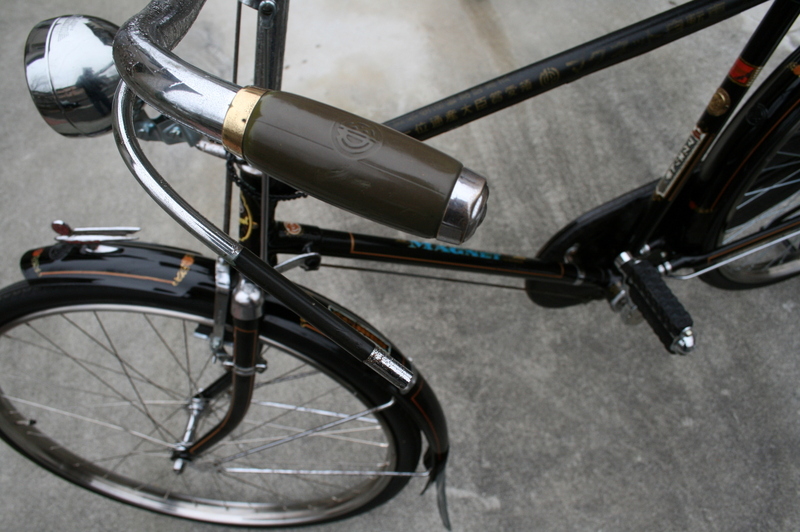 The celluloid grips also cleaned up well with Armor All. 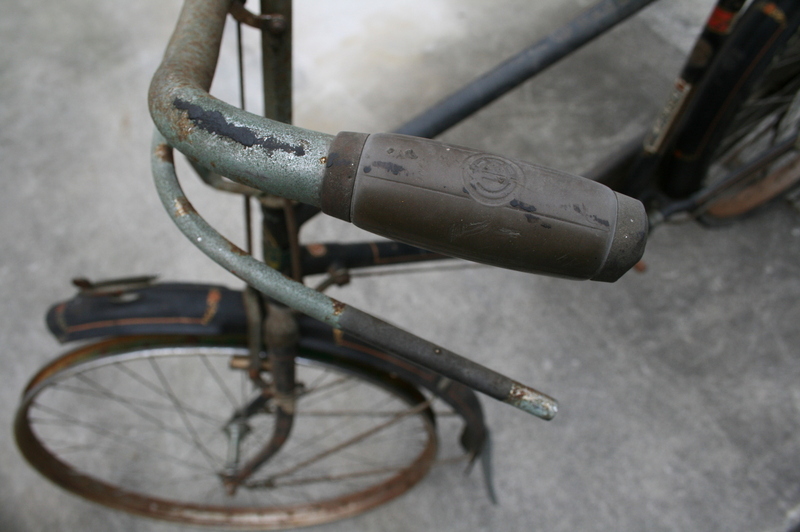 Another key thing to pay attention to when searching for a bicycle to restore is the lug on the handlebars. 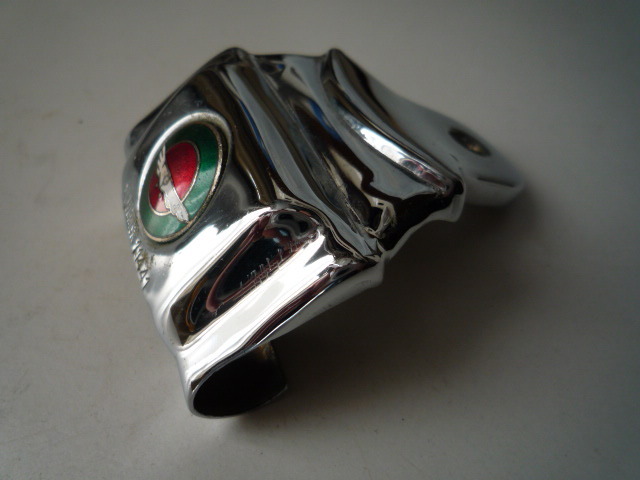 Some of the highend models have a spring protector casing that both houses and protects the springs. 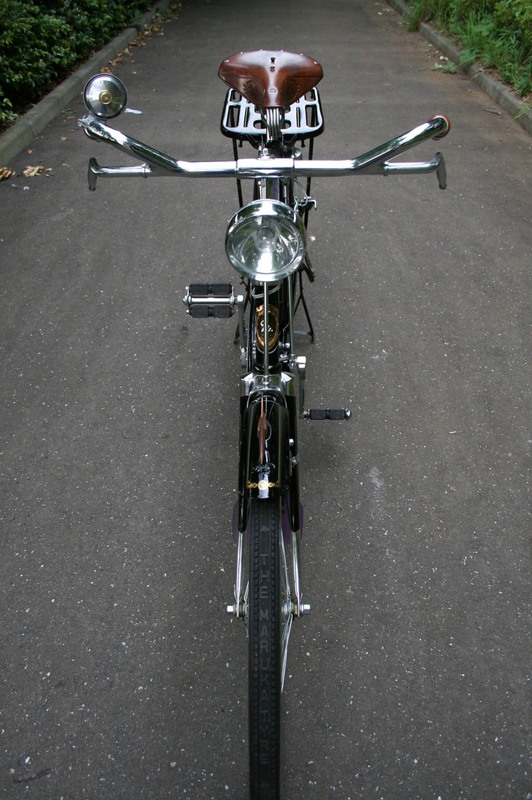 Note how the spring mechanism is fully enclosed and thus hidden. 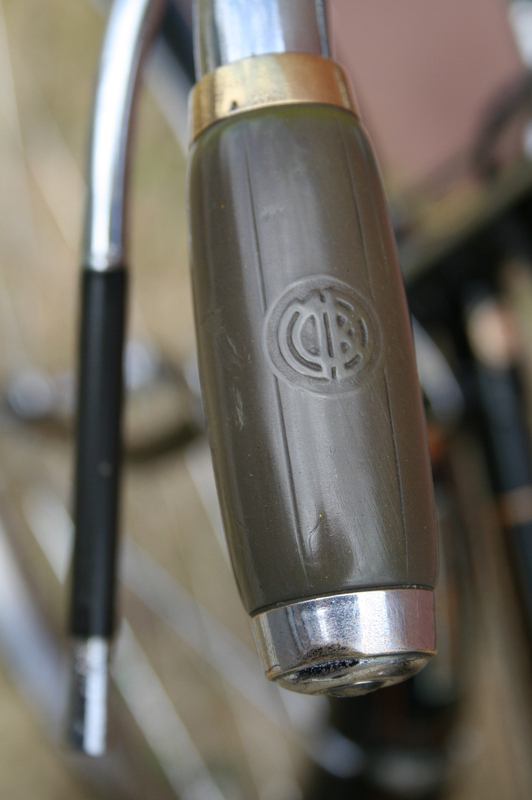 The casing is coverd nicely with a plate bearing the manufacturer's logo. The plate can be removed via two screws on the bottom. 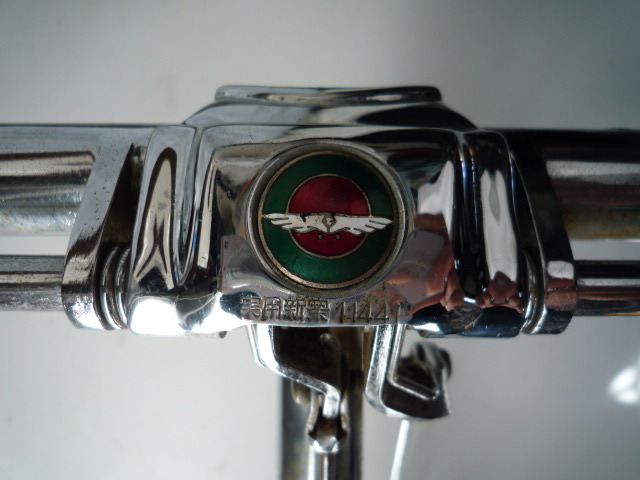 Some of these plates covering the spring mechanism even have enameled lettering as can be seen in this fine example of ruby enameled lettering Seraph by Mizutani Ringyo. Note the crested lug, they don't come much nicer than this. 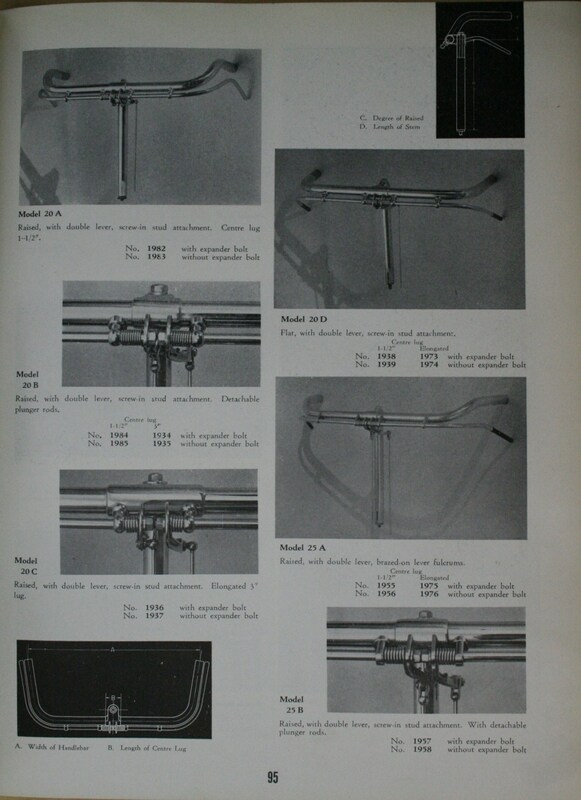 Later these spring casings where replaced with a one piece form fitting cover which hooked under the springs and secured in place by the head bolt. 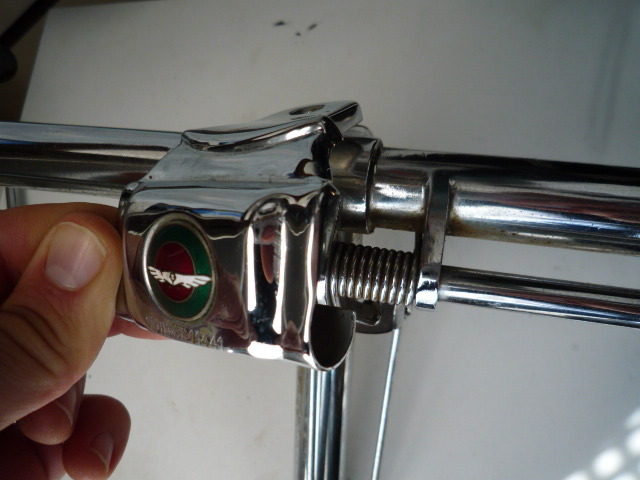 Ordinary pair of rod brake handlebars. 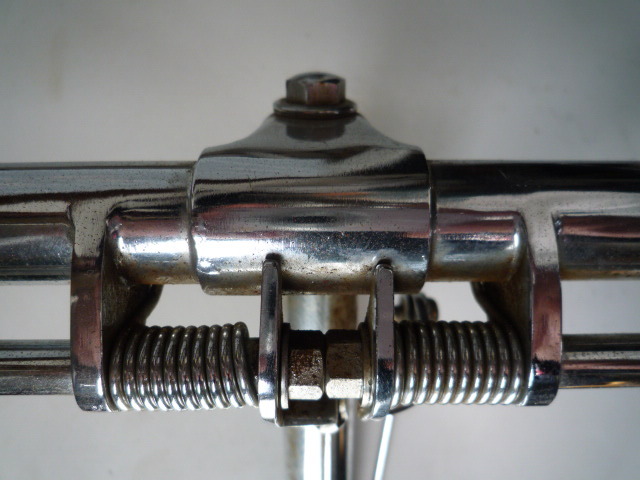 Spring cover will, once again, hook under the springs and secured in place by the head bolt. 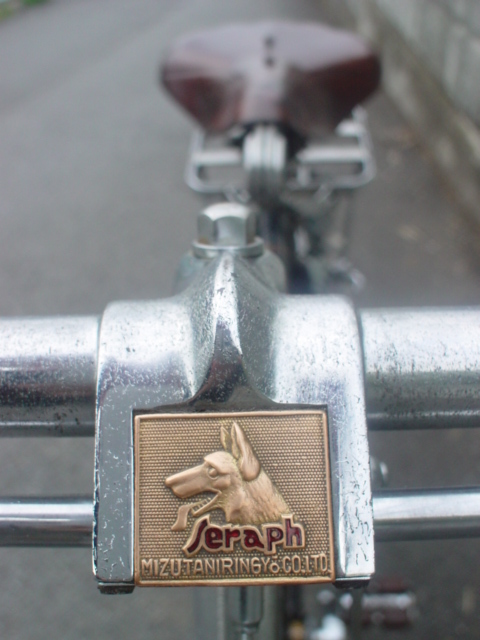 The logo is from the Hidori bicycle company. 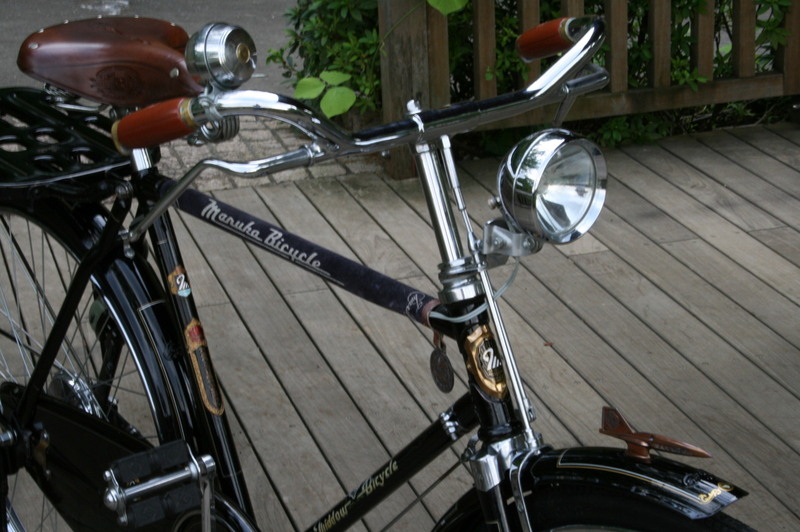 Another example from the Midori bicycle company. These covers are simple, functional and attractive. 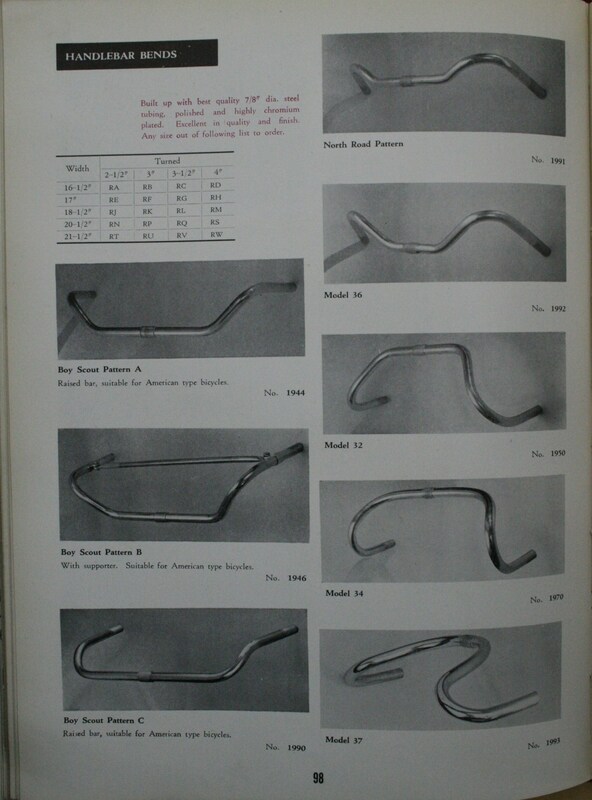 Below are handlebar styles taken from an export catalog rom 1953. 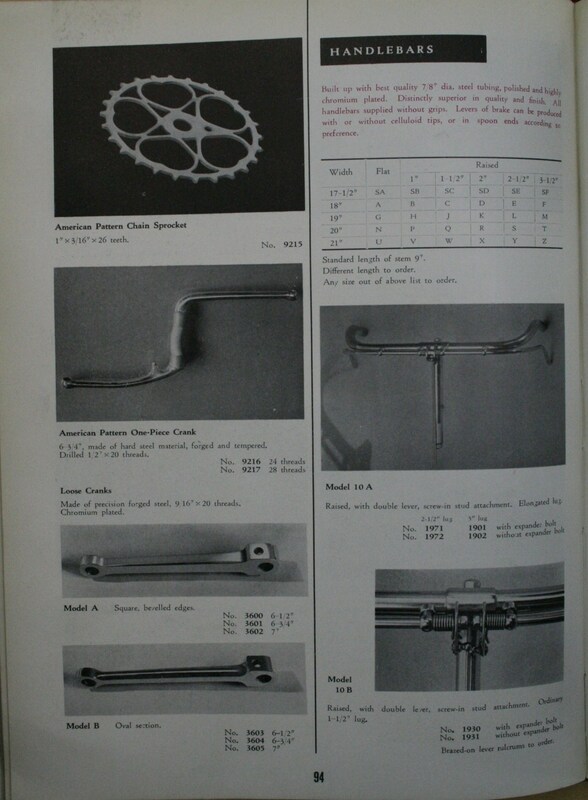 Below is a list of handlebar suppliers, again, taken from a 1953 export catalog. 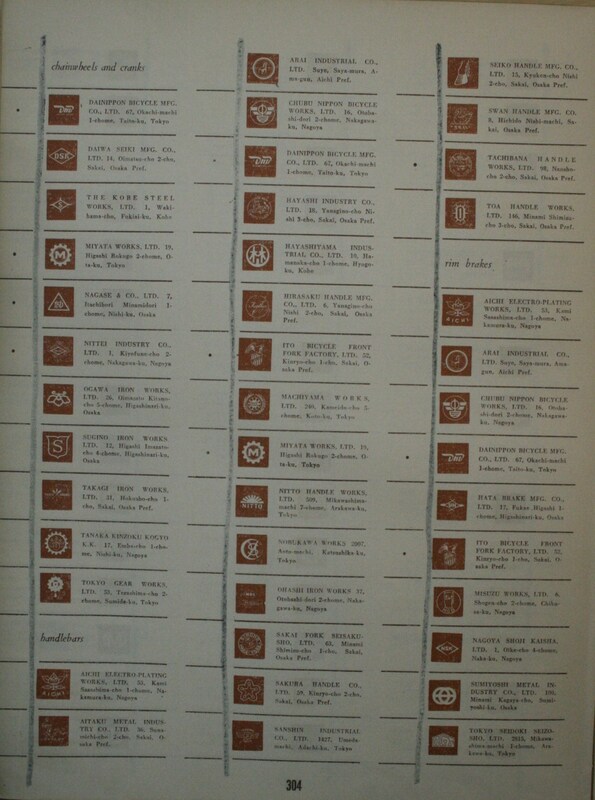 Next week will be the Japanese rendition of this week's post. Informative as always Richard. Beautiful photography as well. Cheer Jeff. 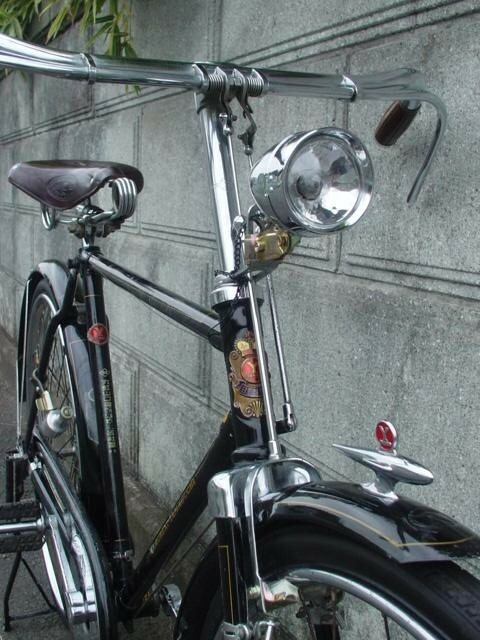 Eagerly await photos of your ride with the new tires!